The Healthy Diet Habits website is one of the three websites that I am currently working on. The content is being provided by my sister, Kerry Bacon, who lives in Woodinville, Washington, in the Seattle area with her family. Kerry majored in Dietetics in college, and has had a passion her entire life with helping others have a "right" relationship with food, and helping them learn to get their eating under control. She has always been interested in the study of "Obesity", and several years ago, she teamed up with a friend of hers, Cindy, who is a Counselor specializing in Eating Disorders. They started working under the business name of "Lifestyle Solutions", and team teach classes, periodically at a Seattle hospital. After starting my Truckee website in Jan. 2011, and my daughter Brie's massage website shortly after that, I encouraged Kerry to do a website, and put all her mass knowledge of Nutrition into a website. 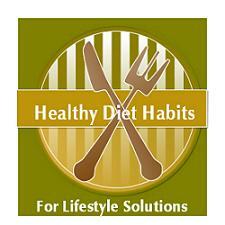 Healthy Diet Habits.com was started on Feb. 20, 2011. If you’re like 67% of all Americans, you are overweight or obese, and 17% of kids are overweight. The Journal of American Medical Association, found, that the prevalence of overweight, and obese kids, in the 6 to 11 year old age group, has hit a plateau of about 32%. Truckee is a very "active" town, with lots of summertime activities and wintertime activities, that allow for great exercise. 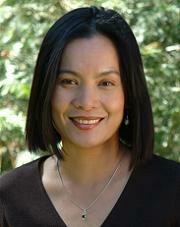 Kerry will be providing some "Sports Nutrition" information on her site soon! As of 8/8/11, we are up to over 230 pages on her site, and new pages are added daily. There will be approximately 500+ pages planned for her site, and her "Site Map" in her welcome section, gives an overview of the content that is planned. She is working on creating some e-books, and e-courses, and will be offering food journaling consulting soon from her site. If you have any Nutrition questions, you can use Kerry's "Contact Us form", or her "Lifestyle Ladies Chat" forum from her website. At the bottom of the page, there will be a review form where you can review this site! Diets Don’t Work, but Lifestyle Changes do! By implementing Healthy Diet Habits, you can experience success! Lifestyle Solutions, provides this healthy eating site, that will provide you with simple substitutions of healthy foods, and tips for healthy lifestyle changes. Most of us eat when we are hungry, only 20% of the time. It’s what happens the other 80% of the time, that gets us into trouble! This site will help you develop your personal history with food, as well as develop great healthy diet habits to deal with food in your life. Are you a Person with Bad Food Habits? Many of us have a repertoire of bad food habits, that influence what, and how we eat. It could be improper portion control, dashboard dining, fast food dining, or nighttime nibbling, to name a few. We are creative in developing habits that make it difficult to remain at a healthy weight. Diets overlook our habits by telling us what to eat. ***** Being successful at Weight Loss, and Weight Control, involves examining your personal history with food, and developing a Healthy Eating Plan, that builds an awareness of how you use food in your life. It is not just “what you eat”, but “how you eat”, that must be dealt with. Healthy Diet Habits can be learned, as you identify your problem areas, and develop great strategies to overcome them. A Healthy Lifestyle, promotes developing Healthy Food Habits! Have A Great Rave Review about the Healthy Diet Habits website? Do you have a great review about the Healthy Diet Habits website, and how it has helped you to get your eating under control, given you tips on how to eat for health, taught you how to shop better or cook healthier, or to make smart food substitutions to create Lifestyle Solution changes to your eating habits? Share it! What Other Visitors Have Said About the Healthy Diet Habits Website!